Made from high visibility plastic and labeled with instructions for using personal protection equipment. There is space for labeling specific contents. 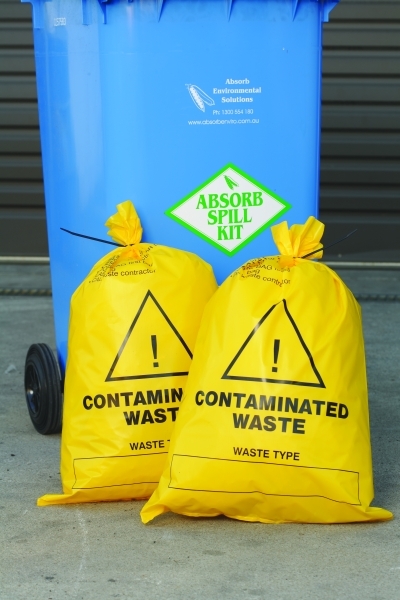 • Storage/disposal of spent Hazchem absorbent materials or contaminated PPE. • Don’t use for hot material or highly aggressive chemicals. • Consider double-bagging hazardous chemicals. Copyright© 2019 Absorb Environmental Solutions. All rights reserved.